Thinking of selling your home, but don’t think you have maximised the potential value? 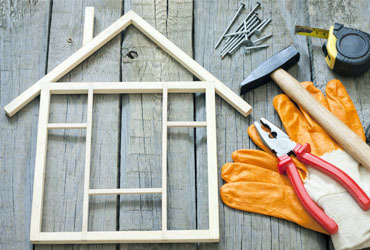 Here are 5 helpful tips to modernise your home. Repaint the walls and doors in a neutral colour to create a blank canvas for your buyers and create the illusion of a larger room. Sometimes, buyers can find it difficult to visualise themselves in your space. By neutralising your home and removing your personal touch, buyers may find it easier to imagine how they could use the space and how they could best configure it for their own family. To add a modern twist, you may also like to consider fitting new internal door handles. Replace dated carpets with plain carpets or flooring in a neutral shade. If you live in a period property, you may be lucky enough to discover some original floor boards beneath the carpets. These are easily restored using a sander and varnish, and even if you find that there are a few squeaky boards then these can be easily repaired. If on the other hand you already have neutral carpets, but they are pale in colour you will know that although they are highly stylish and can make a room feel enlarged, they can also show any dirt more easily than darker or patterned carpets. If this is the case, why not hire a carpet cleaner for the day to show them off in their full glory! Are your kitchen cabinets looking a little tired? You can renovate the appearance of your kitchen at a relatively low cost by painting the cabinet doors in a light shade or replacing them with a more modern design. To finish the look, replace the kitchen cupboard door handles with modern designer ones. Replace any colourful bathroom units with modern white ones and re-tile the bathroom in a neutral colour. If you are not planning to re-tile the whole room, then paint the remaining area’s in a white or cream shade. If you are short on storage space, you may wish to purchase a vanity unit to store your cosmetics in, so the room appears clutter free in time for your viewing. Neatly store your belongings out of sight and add shelving or storage units where required. If a viewer can see your belongings laid out around your home, they may conclude that there is not ample storage in your house and move on to their next viewing. Read our article Home Interior Design Tips for further tips and great ideas on improving your home.